If you ask me what I think about Vietnam (Việt Nam), I think this may be one of the most incredible lands that I have visited with the vibrant chaos of Ho Chi Minh (Hồ Chí Minh) City (also known as Saigon (Sài Gòn)) and Hanoi (Hà Nội). Halong Bay (Vịnh Hạ Long) with its beautiful limestone islands is one of the most impressive sights in the area. Besides, exploring the real Vietnamese food market is the ultimate Southeast Asia cultural experience. 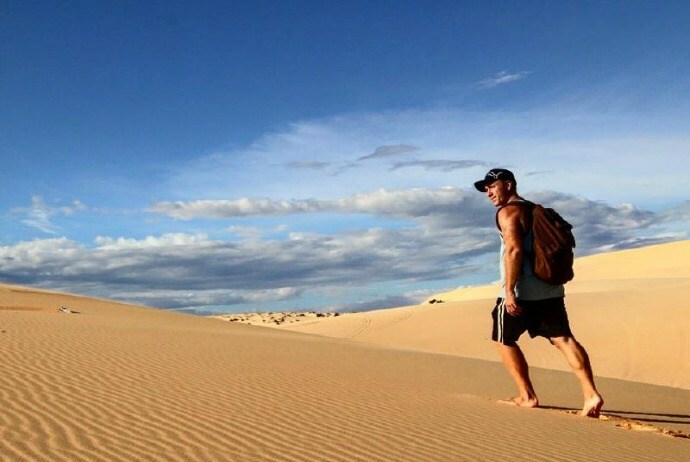 In this article, you will discover a detailed guide about Vietnam backpacking, including information about Vietnam hostels and backpackers. 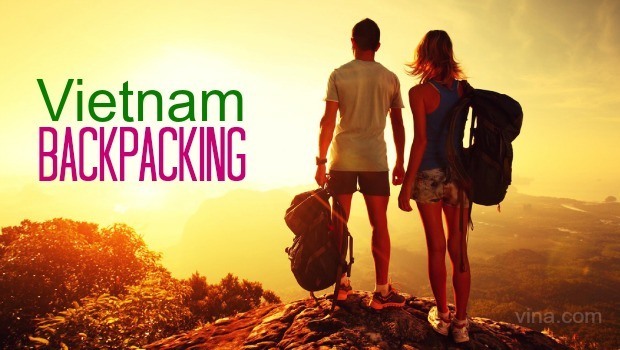 Let’s start Vietnam backpacking! In regard to suggestions for Vietnam backpacking lovers, there is no other place in Southeast Asia that gives tourists more of a sense of wonder than the capital – Hanoi. Hanoi in fact is just pure chaos and anarchy. There are a lot of scooters around the city making you feel like you are caught in a huge swarm of wasps. It is seen that many activities in Vietnam happens on the busy streets; people even eat and drink there, cut their hair there, play games there and read newspapers there. 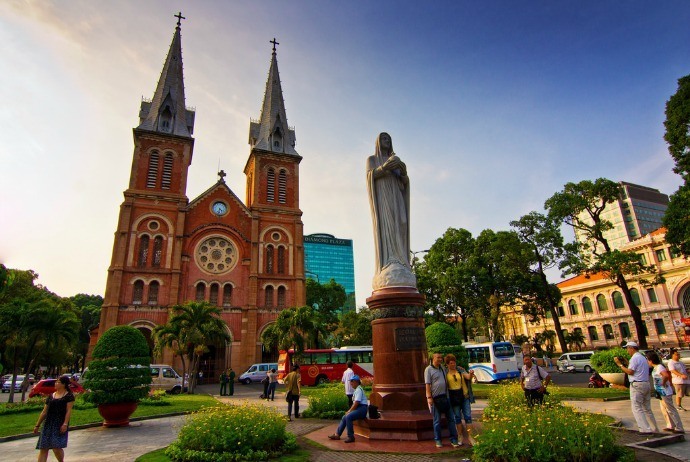 Immersing yourself appropriately in the busy city life of Vietnam is considered as one of the best things to do in Vietnam. Whilst there are many interesting local markets throughout Southeast Asia, the markets in Vietnam often come with the most vibrant things. The sights and smells are something you will never forget. Many salesmen walk in with a big tub covered by a net that is filled to the brim with frogs. In the Mekong Delta, you will discover various amazing floating markets in which people come in on their small boats that sell fruits and veggies from the rural area. People may even dock next to you and provide you with things for sale. Hue is another destination for those people who love Vietnam backpacking. 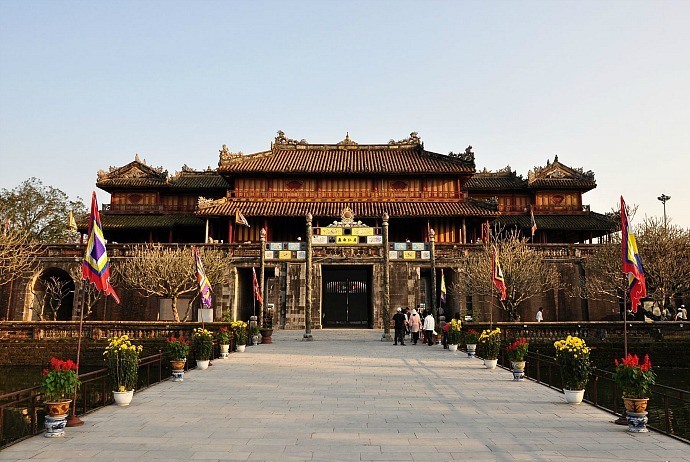 Numerous people make a stop at the ancient city of Hue majorly to witness the Imperial Citadel, but there are still a lot of sites to go for in Hue (Huế) City, and it is great to spend a day on visiting some of the nearby tombs of Emperors which are mostly still intact. These tombs offer some typical examples of Vietnamese Buddhist aesthetics as well as architecture, and are really worth a visit. The sights both in and around Mui Ne (Mũi Né) are really not to be missed for tourists. 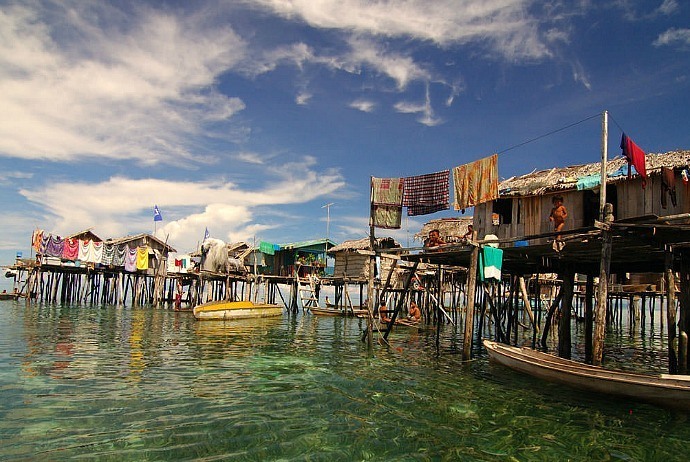 The old fishing village is very picturesque and is famous for its interesting colorful fishing boats. Also, there is a little river canyon walk around along with white sand dunes where you could witness the beautiful scene of sunrise or play sliding down the sand dunes on the board. Not mention to the city life of Vietnam which is very bustle and hustle, many people say that you have not ever seen the real Vietnam yet until you visit its countryside, preferably by motorbike. 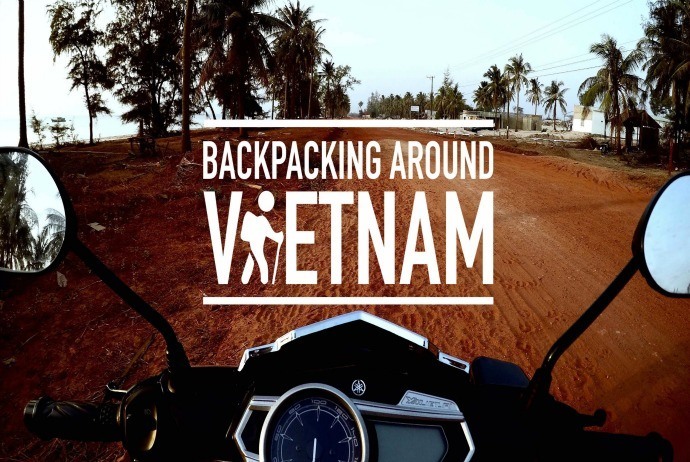 Travelling In Vietnam, it is extremely easy to rent a motorbike and a lot of tourists go either south-to-north or north-to-south by this means for most parts of their journey. Some rental companies your own backpack at your next destination in case you do not want to bring it by bike. It is considered as a good way to witness more of Vietnam’s landscapes than you would see if you just travel by train or bus. 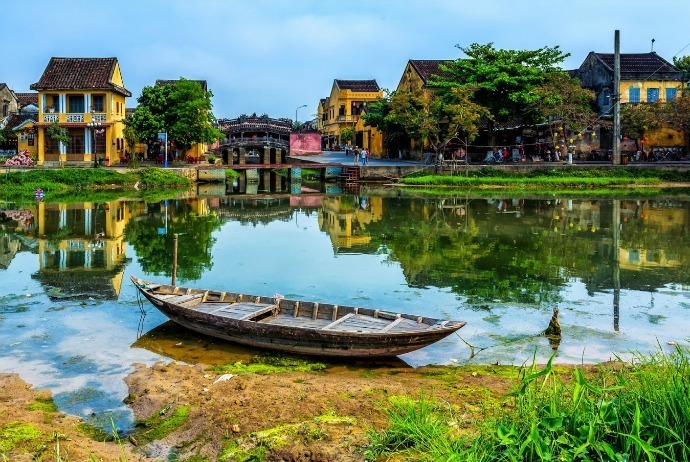 Hoi An (Hội An) is a renowned attraction in Vietnam thanks to its historical and religious sites. It is also famous for being the place where you could get custom-tailored clothes at such rock bottom prices. Many a tourist leaves Hoi An with tailor-made dress or suit in their own backpack. Moreover, it is also a quiet, charming, and pedestrianized town, which stands in such a strong contrast to the main cities described above. Whilst Hoi An is extremely touristy, it still holds something mysterious that needs to be discovered. There are a few of interesting sights and also a decent beautiful beach nearby, so it will make a good base for some romantic nights. Vietnamese cuisine is very amazing. Tasting Vietnam specialties is one of must-dos for people who love Vietnam backpacking. The best instances of Vietnamese specialties do not require you to go to a luxurious restaurant. They could be found on street. It means that you should not miss some street food when visiting Vietnam (but for safety, you should prepare some medication for your stomach if it is not good so much). Order the famous rice noodle – also known in Vietnamese as Pho (Phở) – from a street cart. Many of the local eateries where the seating just contains some small plastic chairs offering some really delicious stuff offer tasty Vietnamese cuisine. Also, do not miss spring rolls or summer rolls (gỏi cuốn) which in reality are not fried but fresh and come in many varieties. 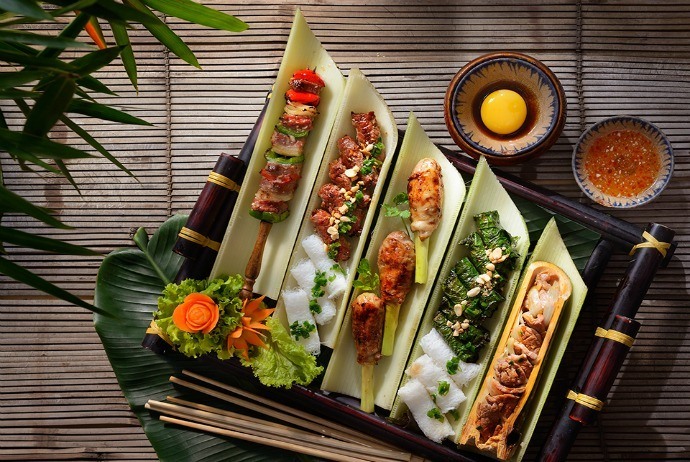 These are just some of the most well-known dishes in Vietnam. Incidentally, don’t skip real Vietnamese coffee too. It is often served in a small but strong cup with some sweetened condensed milk. This type of coffee is absolutely different from the ones you can find anywhere else. If you have chance, try local fresh beer. Nha Trang is one of the most famous beachside cities in Vietnam, particularly for Vietnam backpacking lovers. The waves here despite are too rough; there are some pretty amazing places for tourists to party. Not only are drinks cheap here, but you will also find a lot of bars as well as clubs here. Before knowing it, you will find yourself on the spontaneous bar crawl, maybe eventually ending the night at the bar “Why Not?” While the beach is far from a tropical heaven, it is nonetheless a good place to wallow through the hangover the upcoming day. Vietnam’s war history is famous for many international tourists and there are a large number of museums dedicated to them. 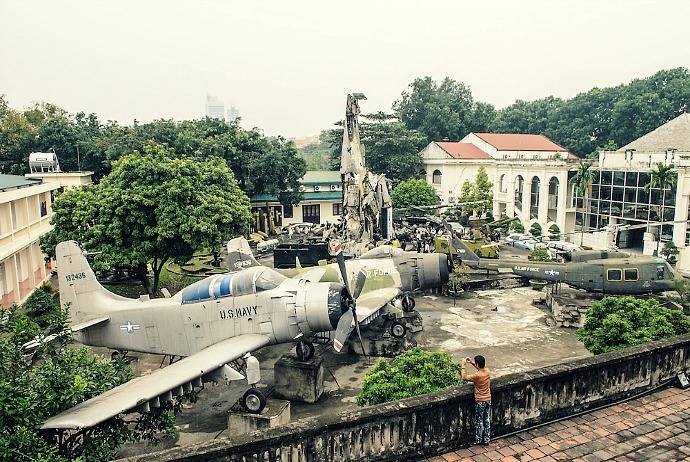 In Ho Chi Minh City, the War Remnants Museum is particularly one of the must-visits when it comes to Vietnam backpacking guide, though expect it to be heart-wrenching, uncomfortable and something shocking. After visiting, you might want to sit down for a moment to process all. Whilst it is run by the government, it adds an important perspective to the predominantly American-written history of the famous American/Vietnam War. 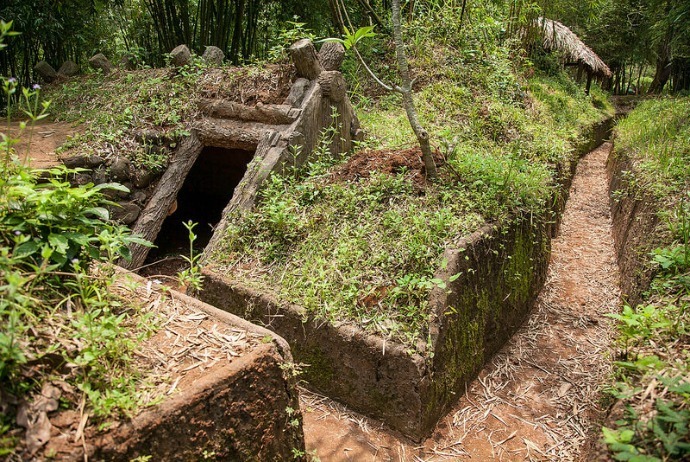 Not so far from Danang (Đà Nẵng) and Hue, there are tunnels of Vinh Moc (Vịnh Mốc), an elaborate network of shelters established by villagers during the harsh war. These tunnels were a success and there was no villager lost their live during that war thanks to these tunnels, despite they had to live under so bad living conditions. It is an insightful place to see, and there also exist the similar Cu Chi Tunnels near Saigon in the southern area of Vietnam. 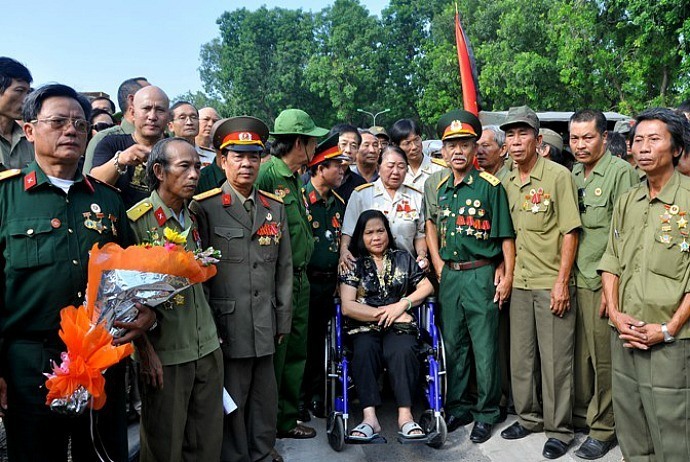 There are a wide range of tour companies that employ Vietnamese war veterans as the tour guides, especially around the former DMZ near Hoi An (Hội An) and Danang (Đà Nẵng). In fact, this is an incredibly way to learn about the American/Vietnam War. The “sights” around the DMZ are really hard to appreciate without a knowledgeable guide, as they are nearly visible ruins for most parts, yet get a local veteran to explain about what occurred there and these sites get so significant. It is even highly recommended if you are keen on the history. The archipelago of karsts limestone islands, Halong Bay will make you feel like you have just explored a secret pirate cove. It is considered as one of the main attractions in the guide of Vietnam backpacking for tourists. Despite your experience will rely rather much on the traveling time of the year, it still always brings to you something interesting about Vietnam, both history and culture. The Mekong Delta located in the southern area of Vietnam is another main attraction or at least it is commonly advertised as that. Here, you will find a lot of floating markets independently or you can also ride around the area by bike on your own. Sapa (Sa Pa), in the far north of Vietnam, is well-known for its breath-taking rice terraces and is an ideal place for hiking lovers. 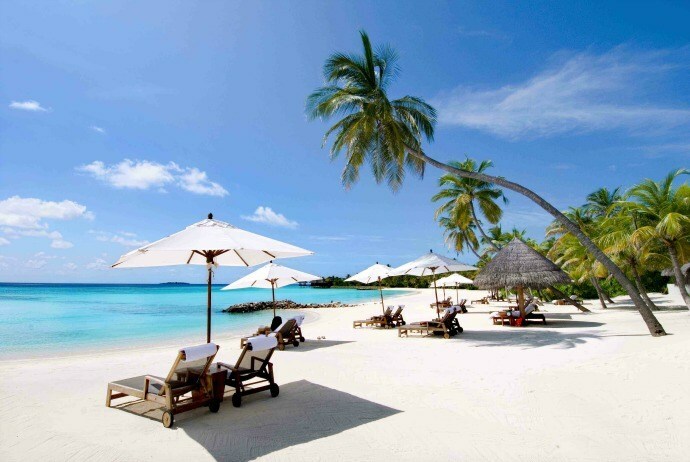 Phu Quoc (Phú Quốc) Island in the south has gorgeous beaches with their pictures highly confirming it. 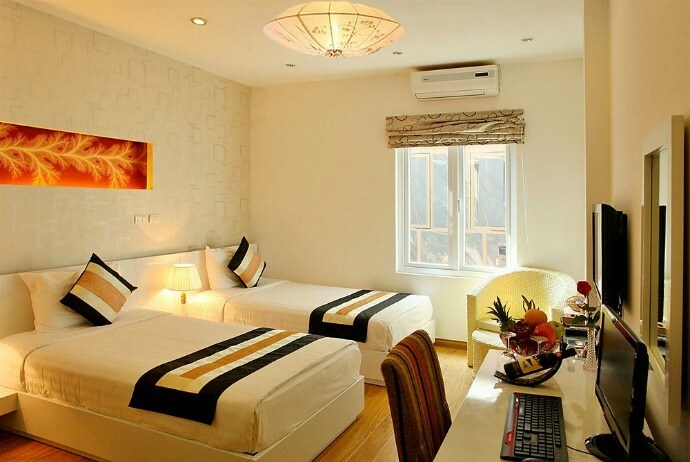 Splendid Jupiter Hotel: this modern hotel is located right in the middle of the famous Old Quarter of Hanoi. Rooms here are ranging from $9 to $20. It is an ideal place of the North Vietnam backpacking you should not overlook. Hue Backpackers Hostel: as a friendly party hostel in Hue, this hostel has a lively bar right on the ground floor. It is extremely popular among backpackers and Vietnam backpacking lovers, so you had better book in advance. Jade Hotel: this is a more relaxed choice in Hue city. Oftentimes, rooms begin at $9 / 6 GBP. My Tra Homestay: this is one of the highest rated hostels in Sapa – a mountain town. 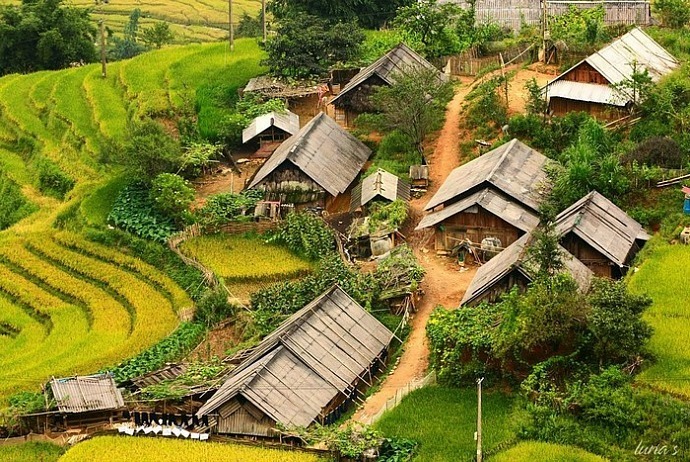 Peaceful and simple accommodation is among green rice fields. Phuong Nam Hotel and Villas: this boutique hotel features with large swimming pool and beautiful rooms. It is highly valued because the rooms begin t about $14 (basing on the time and season). 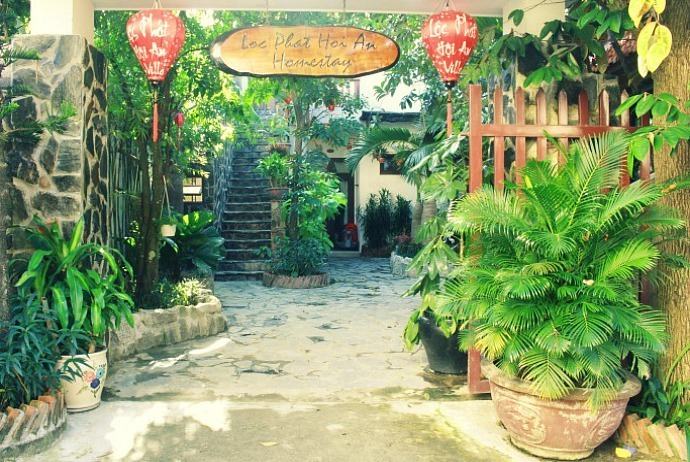 Loc Phat (Lộc Phát) Hoi An Homestay: having lush garden courtyard, the hostel may be not a “True” homestay” but a family-run hotel. Mojzo Dorm: being the highest rated hostel in Nha Trang, Mojzo Dorm hotel offers private rooms like at its cousin location Mojzo Inn. Mui Ne Backpacker Village: this relaxed hostel has a swimming pool for guests to relax inside. It is suitable for ultimate budget tourists because there are dorm beds costing as little as $4 / night, and rooms about $10/ night. Long Hostel: having dorms and private rooms, this hostel is a good base for tourists to explore the city. You could travel by bus and purchase a multi-stop ticket beforehand. However, if you are not in favor of the idea of being restricted in which buses you can sue with your combination ticket, you should book buses one by one. Another good option for transporting when it comes to Vietnam backpacking is to go by train. Vietnam has a good train network and taking night trains is particularly convenient upon covering long distances. 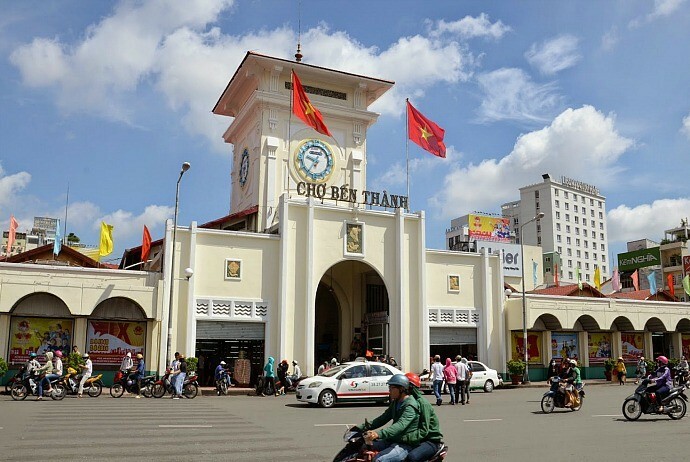 You can use train to travel from Hanoi to Hue and it is a fantastic way to travel. You also could go all the way from north to south and vice versa by trains. 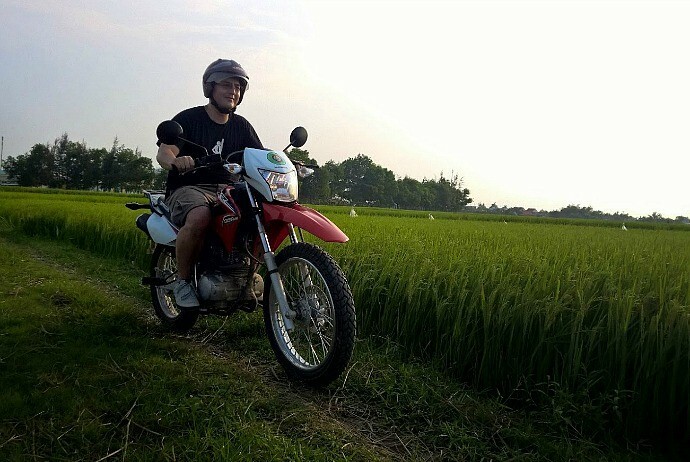 Alternatively, you can use motorbike as a main means for your trip in Vietnam, This will give you a chance of seeing the real countryside of Vietnam that you hardly experience when using other means, getting the really true experience of Vietnam backpacking. If you are going to visit Vietnam, then it is highly recommended to read on the whole of this entry about Vietnam backpacking first to prepare your best for your journey in this peaceful and beautiful Southeast Asian country.